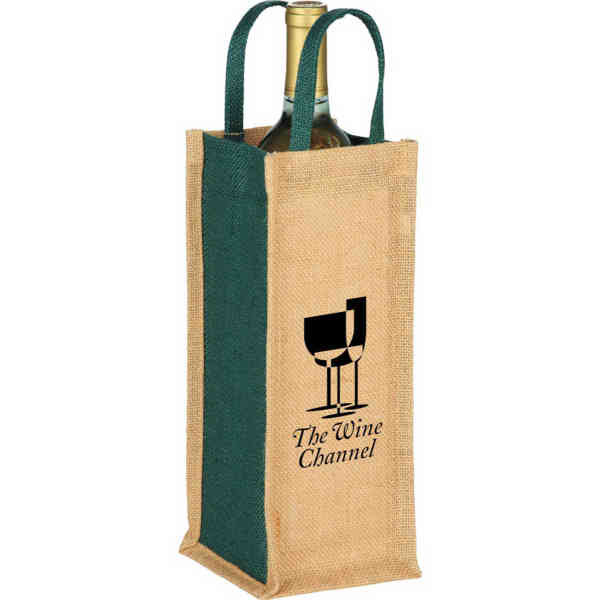 Imprint Method: UNIMPRINTED - The Jute Single Bottle Wine Tote is designed for a single bottle of wine and offers vibrant color pops in the gussets and grab handles. Minimum of 32pt. font size. Bold artwork is suggested. Size: 4.5 " x 12 " x 4.5 "